smManage - Sensitive Materials Management System. Eliminate the risk of using expired materials. The main screen of smManage is designed to display the maximum most important information while remaining uncluttered. Parts are directly accessed from a simple user friendly interface screen. Simply scan the Inventory ID, all other data will be displayed. Adding new data is a simple process. 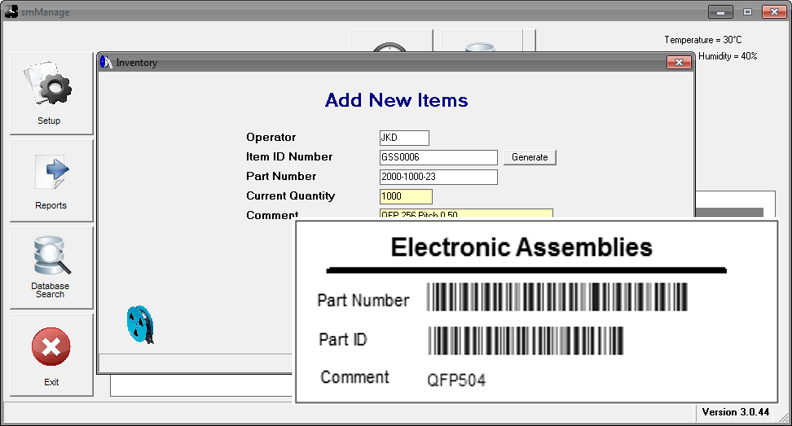 Scan or enter a part number, depending on options set smManage will generate a unique ID number If the part number exists then simply print a label and your finished. 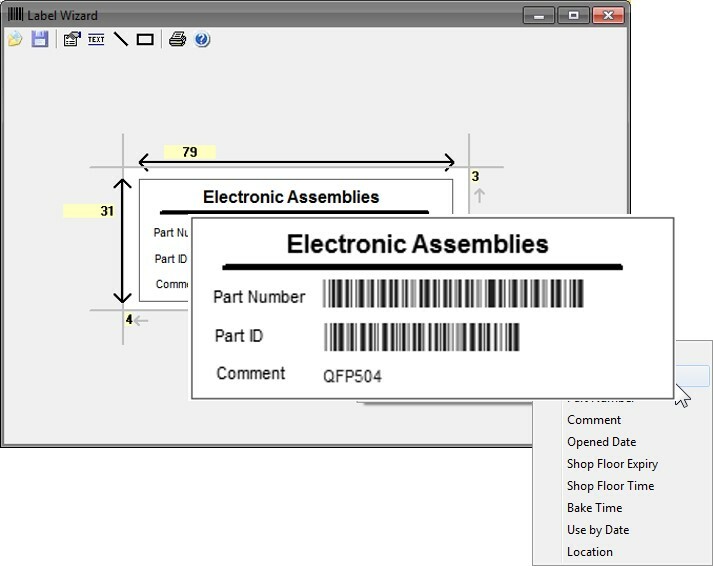 If a part number does not exist then the library editor will automatically appear. 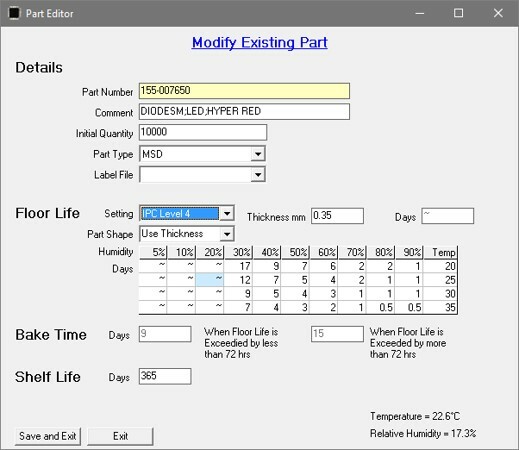 smManage uses a graphical tool for designing label. All design is achieved using drag and drop methods. The label viewed is the same as what is printed. 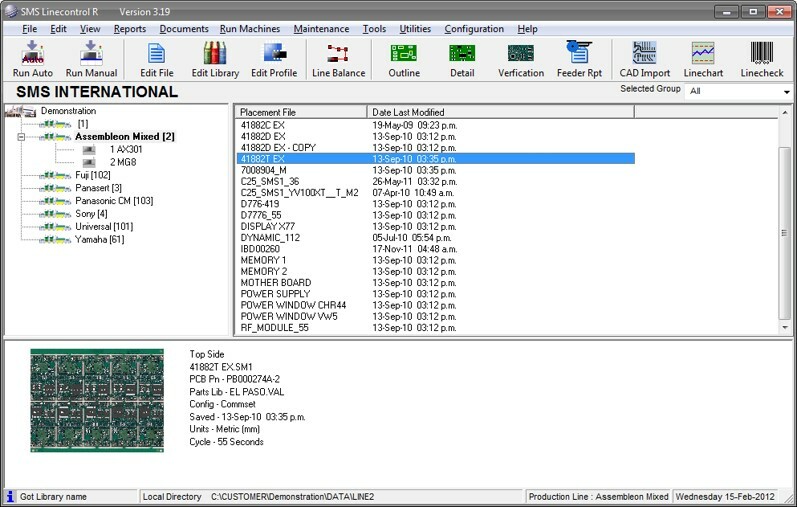 Every Part Number is stored in the smManage Parts Library. Manual MSD setting can be used. Any items that are over their time limit are displayed in the warnings window. Warnings are color coded and can be emailed to multiple recipients. 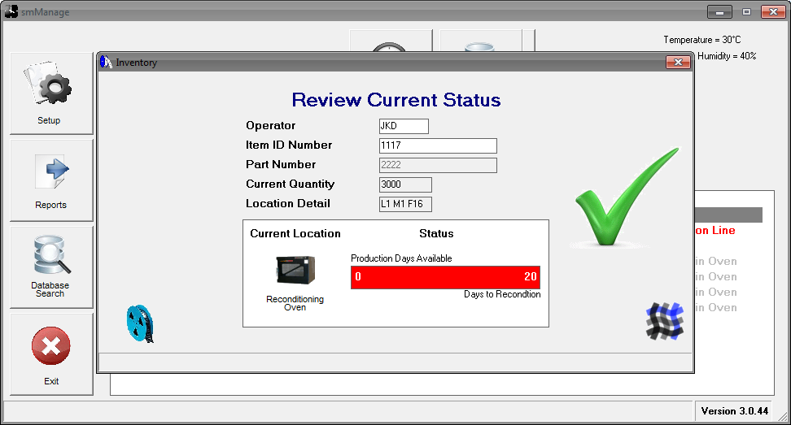 smManage has several in built reports allowing you where parts are on the factory and what parts are in the store or Oven. Locations and Expiry are color coded so you can see at a glance the status. Higher level and specific reports can be generated using SQL statements. Gain control of all your sensitive materials like never before! Auto Humidity and temperature adjustment. Automatically generates unique ID numbers. Has a graphical label design wizard for generating new label styles. Out of spec warning system. Automatic email system for warnings. Database search and editing tools.